What prompted you to write Being Billy? It feels like a lifetime ago now, but in the mid 1990's I worked as a care worker in a couple of children's homes. The kids I looked after ranged from babies to teenagers, and it's fair to say their stories left a deep impression on me. It was heartbreaking to see so many of them struggle to find either long-term fostering or adoptive homes. Many of them felt like prisoners in the system and found themselves institutionalised by their time in care. By the time opportunities came up for them to be part of a 'normal' family set-up, they were often unable to adapt and found the placements dissolving within months. It was this predicament that influenced Billy's story. For the past ten years I've been unable to shake how it must feel to be rejected by two different sets of parents by the age of ten. I mean, how would that make you see the world, or indeed yourself? I adored both Billy and Ronnie. What were the influences behind their characters? When I first started writing the book I hadn't planned for Ronnie to be such a big part of it, or for his and Billy's relationship to play out the way it does. I found that as the draft developed, Ronnie featured more and more, and the more I wrote about him, the more I liked him. He was inspired by other guys that I worked with in the homes. A lot of ex-military folk worked there. Maybe it was something about the regimented, ordered way of life in a home that attracted them, perhaps it wasn't dissimilar to their first careers in the forces. Billy is a mad old mash-up of many children that I met over the years. His story isn't the same as any of theirs, but his anger, spirit and resilience certainly is. They were extraordinary and I feel lucky to have known them. The book really packs an emotional punch and made me cry buckets! What was the easiest/hardest part for you to write? I don't know whether to feel gratified or guilty that the book has caused so many tears. I didn't set out to write a tear-jerker, I just wanted to be as honest about these children's lives as I could, and the truth is, their lives are emotional. A difficult part was the 'review' scene, where Billy is sat in a meeting with carers and social workers, who are planning out his next year for him. It was difficult to find a balance where the social workers aren't shown as one dimensional characters. Every time I had dealings with them I found them to be dedicated and committed, but as the story is seen through Billy's eyes, it had to be his truth I was telling. It was a hard balancing act. The scenes I loved writing most were the boxing scenes with Billy and the Colonel. I grew up addicted to films like Rocky and The Karate Kid (guilty pleasures, both) so it gave me a real buzz to get stuck into some sparring! I can't not mention the separation scene as well, when the twins are finally taken away. I knew it was going to be one of the big emotional peaks, and it certainly turned out to be one for me as well as people reading it now. I loved how authentic Billy's voice was. How did you set about achieving this? I don't know really. I'm new to writing, and didn't do a lot of planning before getting stuck into a first draft. I wrote a loose two page synopsis before starting, but didn't make myself stick to it. If I started to veer off I just went with it. I think the important thing is that I wrote quickly, every day practically, until the first draft was done. When you're writing every day, it's a lot easier to stay inside your characters head. Leave it a week and you have to read back what you've previously done to make sure it's consistent. I didn't know I wanted to write until I was 26 years old (I'm now 36). I can remember where I was when I made the decision, as I was working as a bookseller for Ottakar's in Putney. I was sat listening to Celia Rees talking to a class of kids in the shop and an idea came to me. I was so inspired by the way she talked that I thought I'd give it a whirl. As a kid I barely read. I played a lot of sport and loved being in plays, but reading was mostly comics and terrible novelisations of films like 'Predator' (how embarrassing). Comics definitely helped though as it's such a pure form of story-telling, you cant afford to waste a single word. Not at first. The first story I had a go at was for 8-12 year olds, a mixture of Roald Dahl and Tim Burton called 'Cotton Bud', about a kid whose parents were so over-protective that they literally wrapped him in cotton wool. Friends and family were really impressed and supportive. Agents and editors? Not quite as enthusiastic, and rightly so! 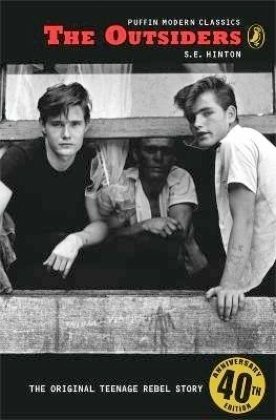 Billy was the second book I tried to write, and as I'd read so much YA over the years it felt like the natural place to go. I understand you are a big fan of children's books. Are there any books or authors you would highly recommend? I find it difficult to read outside of children's books now. In part because I work for a children's publishers, but also because it's the the genre that excites me most. I'm going to spend as much time over the next few months as I can talking to schools about 'Billy" (I love doing school events) and have just finished writing about Daisy, who appears in 'Being Billy'. It's not a sequel - it explains how she gets to where she is when she meets Billy, so it's a prequel if anything. 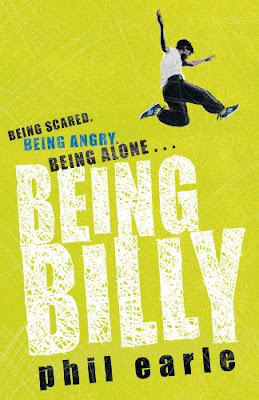 Anyone who has enjoyed 'Being Billy' will appreciate the references in it, but new readers will hopefully get hooked independently....well, at least I hope they will! Nice interview, I loved reading it :D This book certainly sounds emotional.